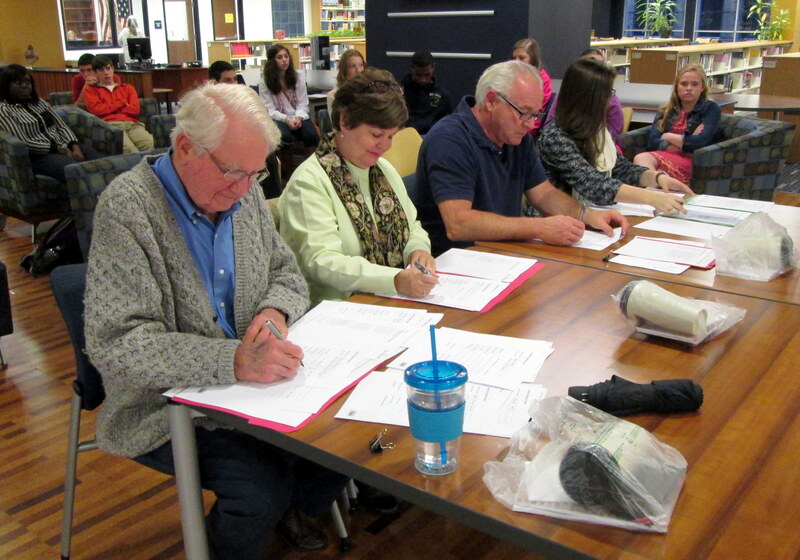 Today, the library hosted the Spartanburg High School Poetry Out Loud Contest. Thank you to Charlie Morgan from Converse, Rita Weeks from Spartanburg Community College, and Alan Tessaro from Spartanburg Community College for judging the students. Thank you to Mary Parker Britton for judging accuracy. All of the students who participated did an amazing job and picked extremely hard poems to recite. Hawkins will go on to compete at the regional finals at the Hub Bub Showroom on January 12th from 2:00 until 3:30pm. Good luck Hawkins!